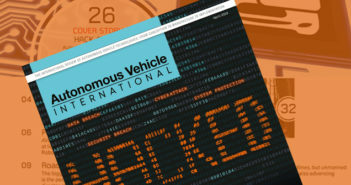 There is now an exhibition dedicated purely to autonomous vehicle technologies and services in North America  Autonomous Vehicle Technology World Expo. The free-to-attend event will be held on 23-25 October, 2018, in Novi, Michigan. 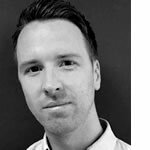 “Now is the time to launch a show dedicated to nothing but autonomous vehicle technologies in the USA,” said Graham Johnson, managing director of UKi Media & Events, the company that already organises the event very successfully in Europe every year. The World Expo will showcase the autonomous vehicle technologies and services of an expected 50+ exhibitors, handpicked for their pioneering expertise. Visitors will find everything needed to develop intelligent vehicles  from the obvious autonomous vehicle driving software, sensors and communication systems, to tires and wheels for autonomous vehicles, and complete vehicle concepts. The event includes three conference streams (for which a fee applies)  Autonomous Vehicle Test & Development Symposium, Autonomous Vehicle Safety Regulation World Congress and Autonomous Vehicle Software Symposium. These will provide a vital platform for industry leaders to discuss and debate the challenges involved in autonomous vehicle development. Around 500 delegates are expected to participate in the conference, plus the exhibition is open to all visitors too. Autonomous Vehicle Technology World Expo also benefits from being hosted alongside Automotive Testing Expo, with its numerous ADAS testing technologies, as well as Automotive Interiors Expo and Engine Expo. An expected 500 automotive exhibitors will participate in Novi, Michigan  and those at Autonomous Vehicle Technology World Expo will showcase systems specifically for autonomous vehicles.